It really is GOOD Friday!!!!!!!!! Hudson’s Bay (Canadian retailer that also owns Lord & Taylor – click here for more info) is serious! Expansion plans, sinking a ton of dough into the business and bringing in fab designers such as Jonathan Simkhai (click here to fall in love with some gorgeous clothes!). It’s so interesting to see a retailer investing in their business and seeing the stock rise, when others are suffering in this economy (such as JC Penny). Stella McCartney has been royally recognized! The Queen bestowed the Order of the British Empire award for her service in the fashion industry. She wore a navy blue suit from her line (naturally) and looked divine! Interestingly her daddy got the same award (as part of the Beatles) in 1965. Wear a fab pair of heels for the egg hunt – just for the fun of fashion! 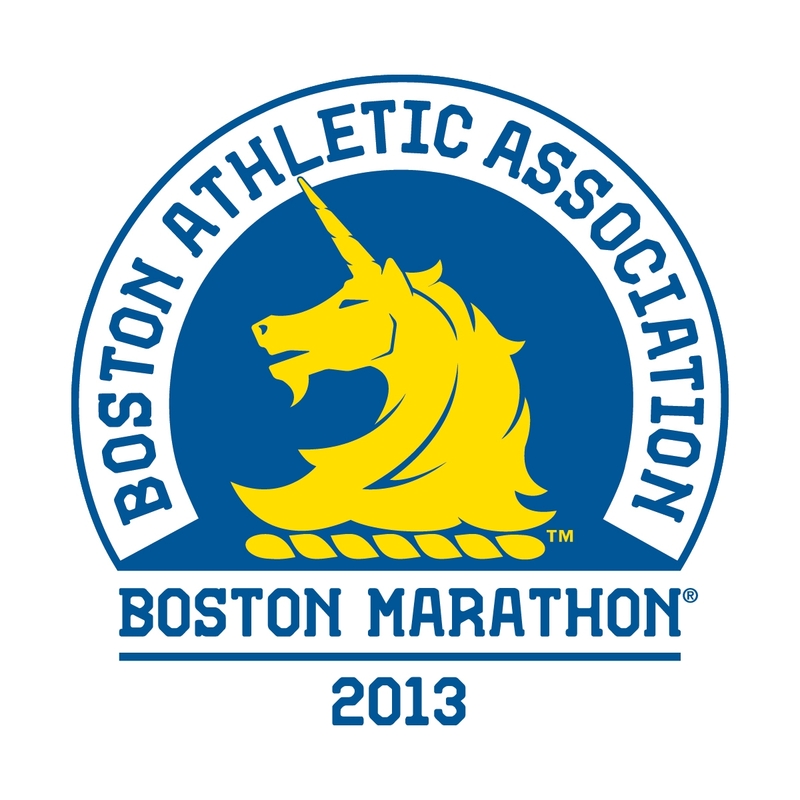 Boston Marathon Here I Come…naked? No, not really! I just don’t know what I am going to wear on April 15th for 26.2 miles. So on occasion between now and race day, I am going to work through some selections. The BEST part is that I have to wear the outfits first to make sure it is comfortable…shopping time!!!!!! 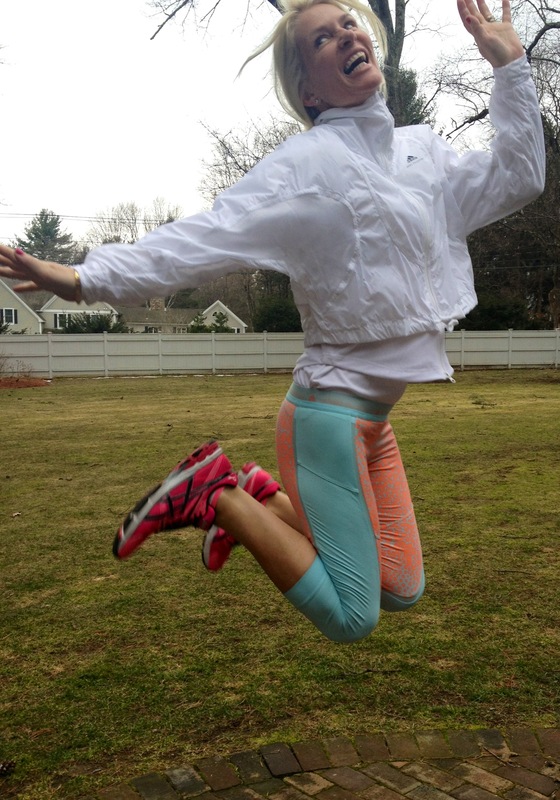 The tricky bit about workout wear is the dreaded wedgina (click here to learn more). First up, adidas by Stella McCartney. Simply crazy gorgeous! The materials, colors, textures, the little unexpected details, the design…uh, the fact that STELLA did it!!!!!!!!!!!! reversecommuter is the giddy happy owner of the light blue & tangerine spotted 3/4 length running tights (LOVE) and the white windbreaker (equally LOVE!). My eye is on the metallic shorts next…. Like a 17 year old math app designer, reversecommuter likes to keep things simple (Yahoo can you hear me?!) Click here for the superb Summly story. Spring has sprung according to the calendar but there is still a ton of snow around Boston. Mathematicians agree the temperature will increase throughout the day then decrease at night, so choose those layered items well…. Remember the terms dress pants, slacks & trousers? Whatever! Just do not wear jeans today – dress it up just a little! Reebok & Alicia Keys on Fire! Guess what reversecommuter just got an exclusive on? Alicia Keys just signed a deal with Reebok to design a line, and as a celebration she performed a private concert in Miami for Reebok execs Saturday night! Granted Alicia has designed shoes for Reebok (click here to buy a pair), this new deal is a direct affilitation with Reebok’s Live with Fire focus (click here to learn more). This girl IS on fire!!!!!!!!!!!!!!! Click here to go peruse the Reebok website. Now that there is an actual warming trend going on, let’s ditch the big heavy coats. Layering = Happiness. Simple equation! Yigal Azrouel sweater, Hermes scarf, Theory T-shirt, Hue Leggings, Sunglasses Chanel, YSL bag. Fall trends that have been sashaying down runways from NYC to Milan include leather – and LOTS of it – as exhibited by Veronica Beard’s Fall Collection (click the blue to see more), capes (how super hero-ish!) and florals (yup, even into fall). So that means that clever fashion savvy shoppers now know what makes a smart buy! Lulu Lemon had an unfortunate yoga pant transparency issue earlier this week – and it has cost the company a bundle in stock value! Lulu’s CEO, Christine Day told Bloomberg News that the only way to confirm the see-thru quality was for customers to bend over – the transparency issue was only when customers’ stretched in them. Click the blue to go to lululemon.com. 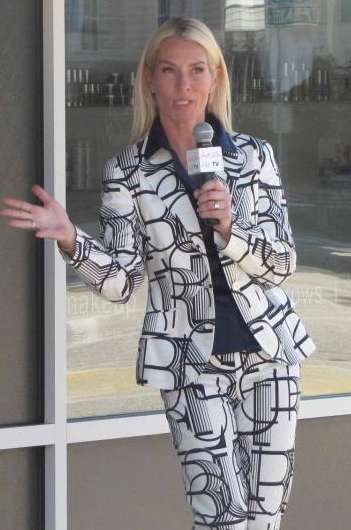 Which makes reversecommuter point out the obvious – THEY ARE YOGA PANTS, THERE IS GOING TO BE ALOT OF STRETCHING!!!!!! Unless of course the customer is wearing them all day long and not doing yoga -which is another travesty all together! Q4 Earnings have started rolling in (reversecommuter LOVES this time of year!!) and the news is pretty good so far – NIKE, Tiffany’s, Hermes, Sak’s, The Gap have all reported an increase in earnings despite a difficult holiday period and wacky winter weather. Enjoy the weekend – mix your patterns just for giggles and drink some champs too!